Historically, Capture One Pro software has been regarded primarily as an amazing RAW file converter for high-end cameras. 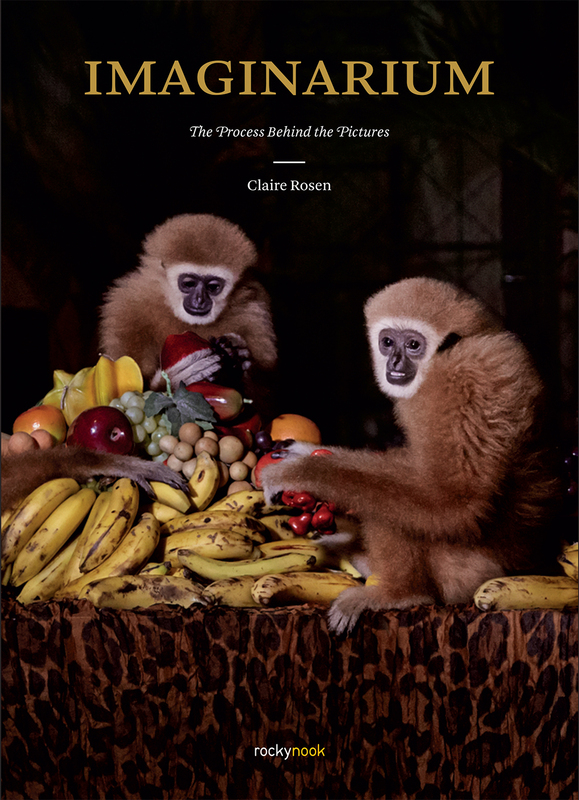 With its newest release, Capture One Pro 9 goes well beyond its storied RAW conversions to become one of the most powerful image-processing applications on the market, addressing the imaging workflow from capture to print. 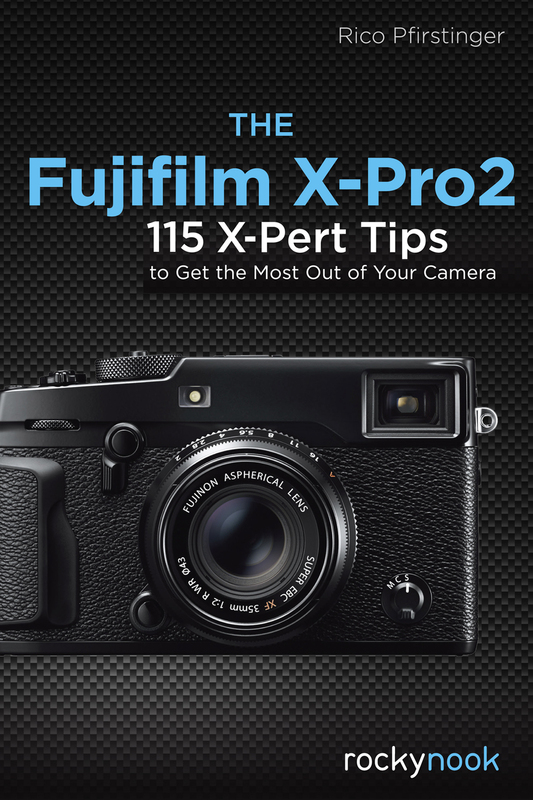 Version 8 has also been optimized to support many of the most popular cameras being used today. With an abundance of new features and the promise of producing vastly superior images, photographers of all skill levels are giving Capture One Pro a try. Of course, along with expanded functionality and improved performance, the software has become a challenge to learn efficiently on one’s own. Users need a helping hand in order to get up to speed and make sure they are taking full advantage of this powerful software. 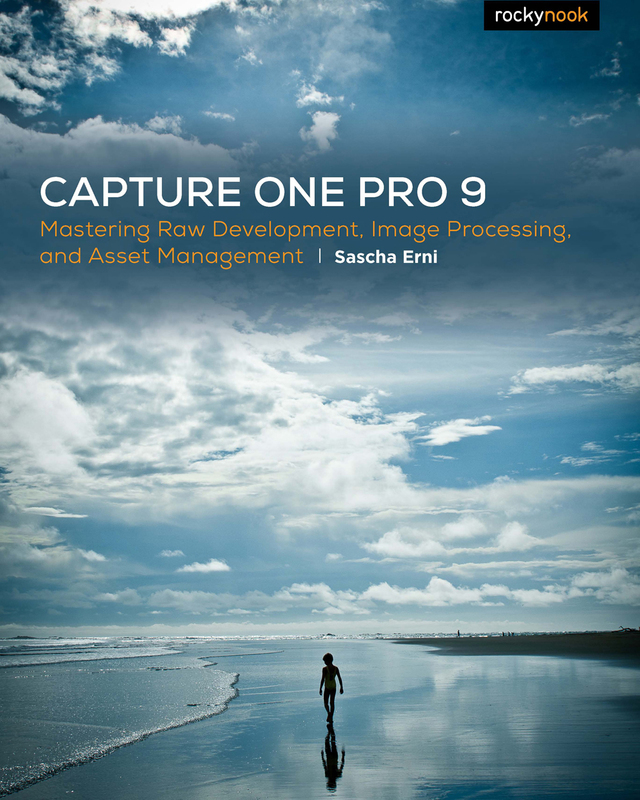 In Capture One Pro 9: Mastering RAW Development, Image Processing, and Asset Management, photographer Sascha Erni teaches readers everything they need to know in order to quickly get up and running with Capture One Pro. 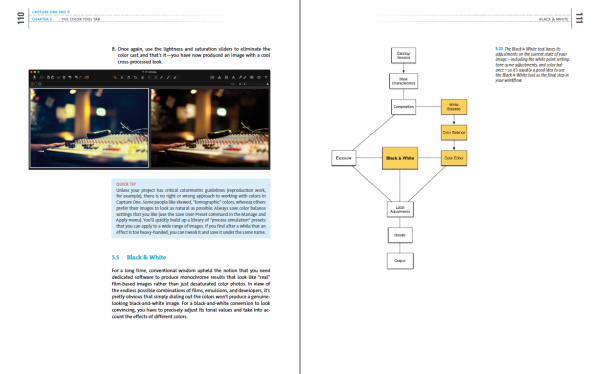 He also dives deeply into its extensive feature list to allow users to fully explore the capabilities of the software. 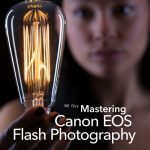 Whether you’re moving to Capture One Pro from Aperture or Lightroom, or just beginning to learn image-editing with Capture One Pro 9, this book will teach you how to get amazing results while avoiding frustration and wasted time along the way. Product ID: 1119563 SKU: 1033. Categories: Capture One Pro, Ebook, Image Editing, Photography, Print, Print and digital bundle. 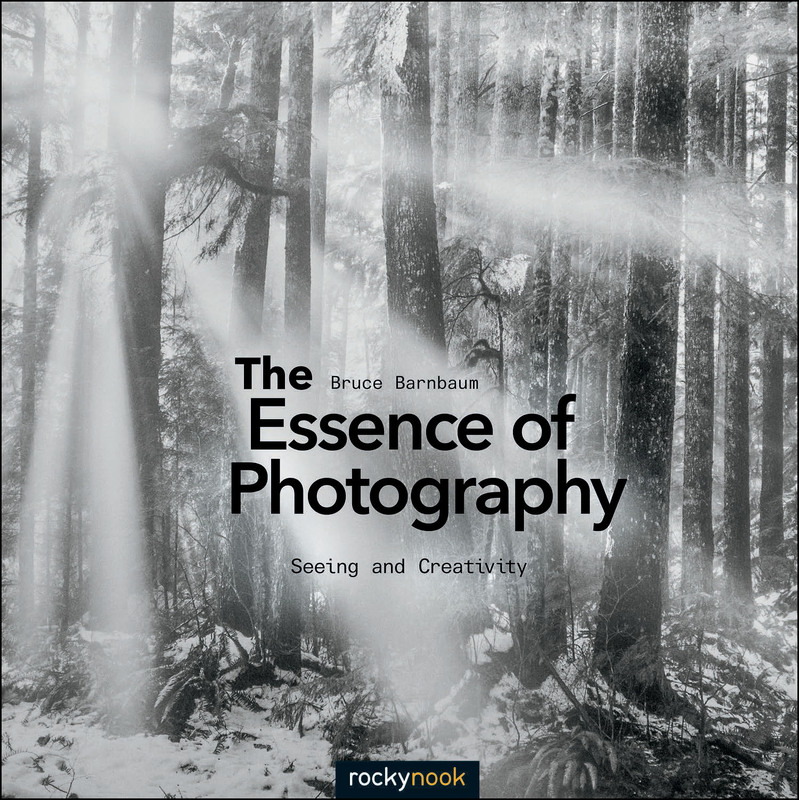 Tags: capture one, Capture One Pro 9, capture one pro book, rocky nook, sascha erni. Adobe’s Creative Suite for photographer’s has certainly become a standard for many- for about $10 per month, you can have a subscription to both Photoshop and Lightroom and enjoy the lastest version of the software without further investment. Of course, there are options available- GIMP, Pixelmator, Capture One, etc. 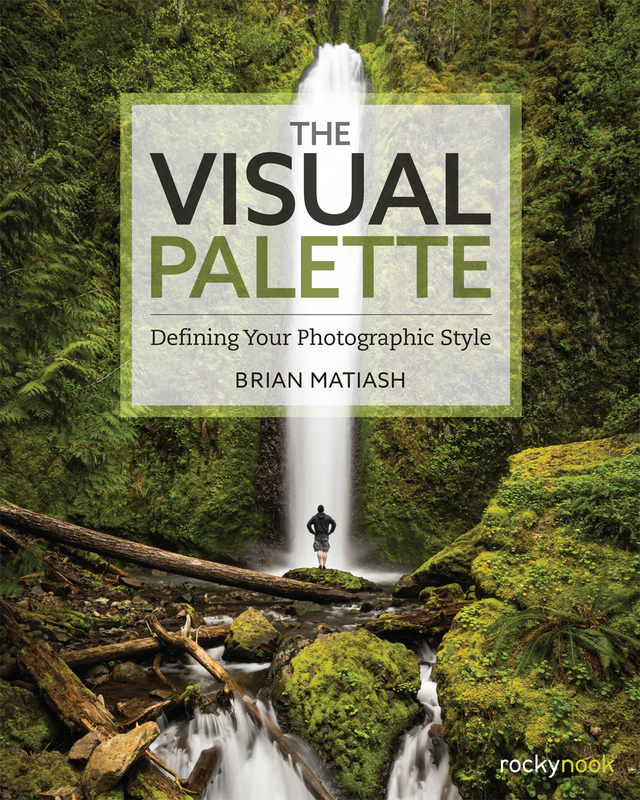 The primary disadvantage of these alternatives is the lack of educational support- while Amazon lists six books on Lightroom 6 (and more than seventeen for Photoshop CC), there is only one for Pixelmator, and it’s nearly three years old. Online training sites have a similar bias, making the learning curve far more challenging for programs from anyone but Adobe. This is where Sascha Erni’s Capture One Pro 9: Mastering Raw Development, Image Processing and Asset Management comes in. 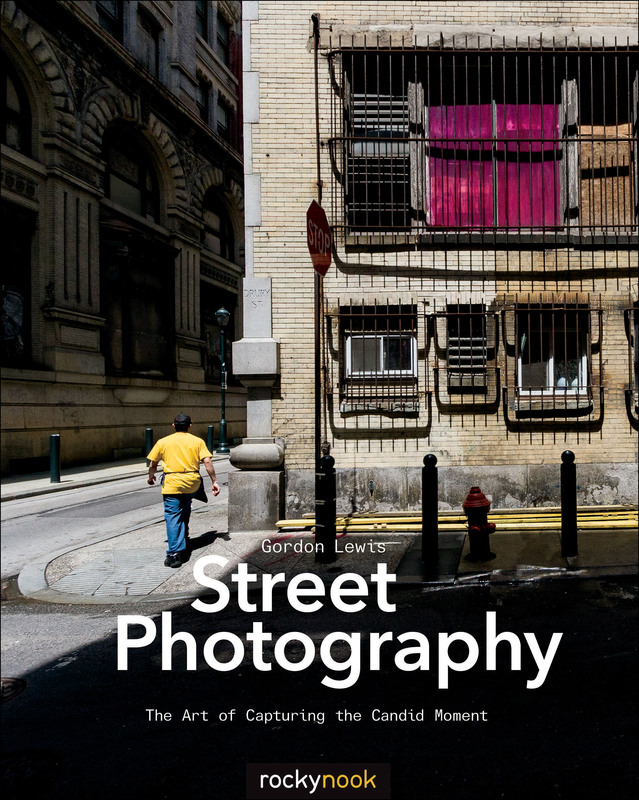 For the photographer considering the switch to Capture One, this is a superb book that will outline pros and cons and then give a quick view of the program and its workflow. Erni does a superb job in measuring the pros and cons of the software. One thoughtful warning from the start is to recognize one major limitation of Capture One- it cannot read DNG files unless they are native. 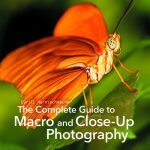 For those who have converted their libraries of raw images to DNG, this could easily be a deal-breaker, making the book a great bargain before even investing in the program. Why consider Capture One? Erni makes a strong case for the software’s excellent tethering abilities, standardize color management and intuitive interface. 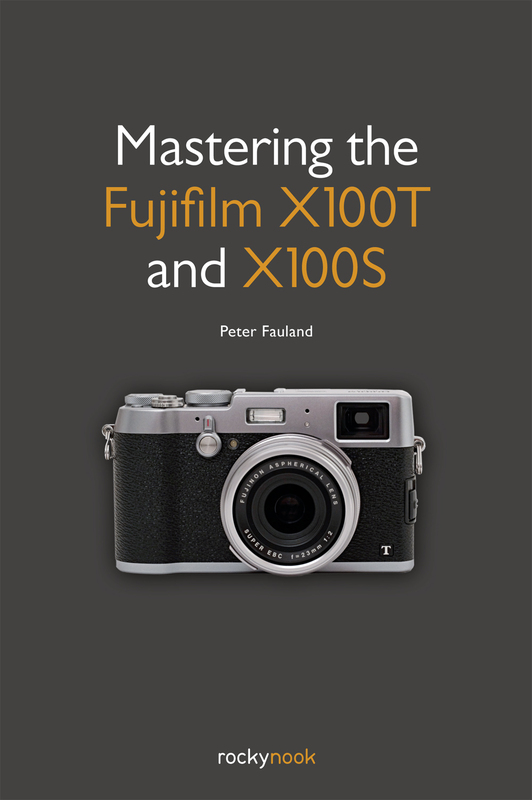 Each chapter considers the various tabs and how to best utilize the software, but only after a thoughtful look at hardware requirements, software differences with other programs and a thorough examination of the Capture One workflow. 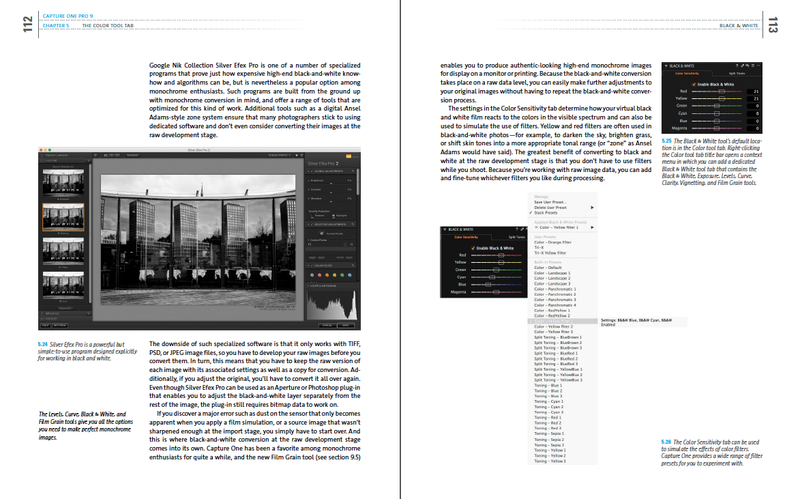 Unlike Adobe’s Classroom in a Book series and many other Photoshop/Lightroom texts, Capture One 9 is less a how-to tutorial than it is an examination of an excellent option to the Adobe suite. 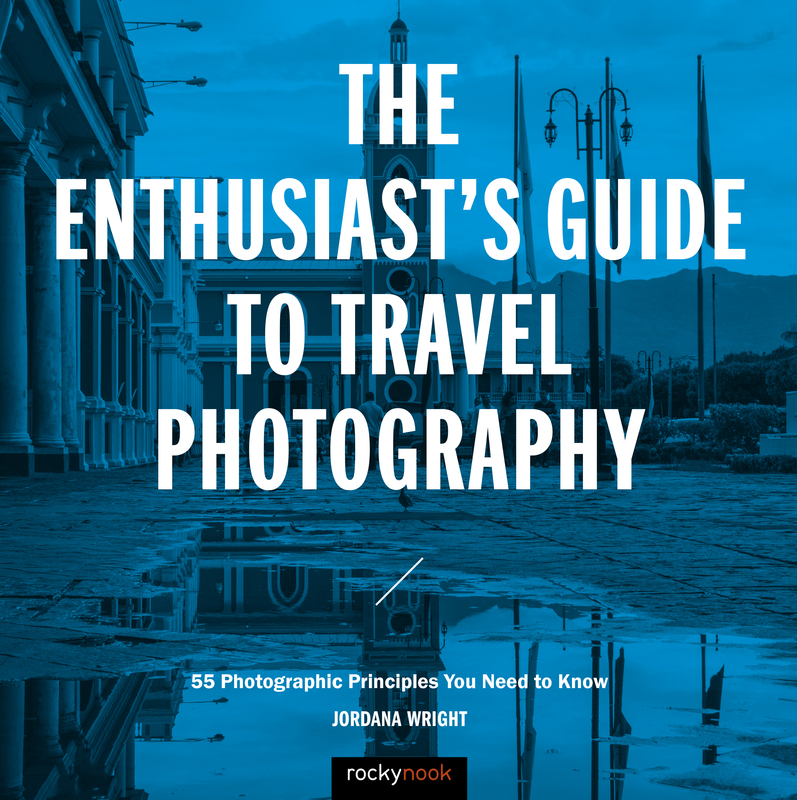 It’s probably not going to prepare a complete novice to establish an effective workflow- the author assumes a certain amount of knowledge and experience with photographic software. 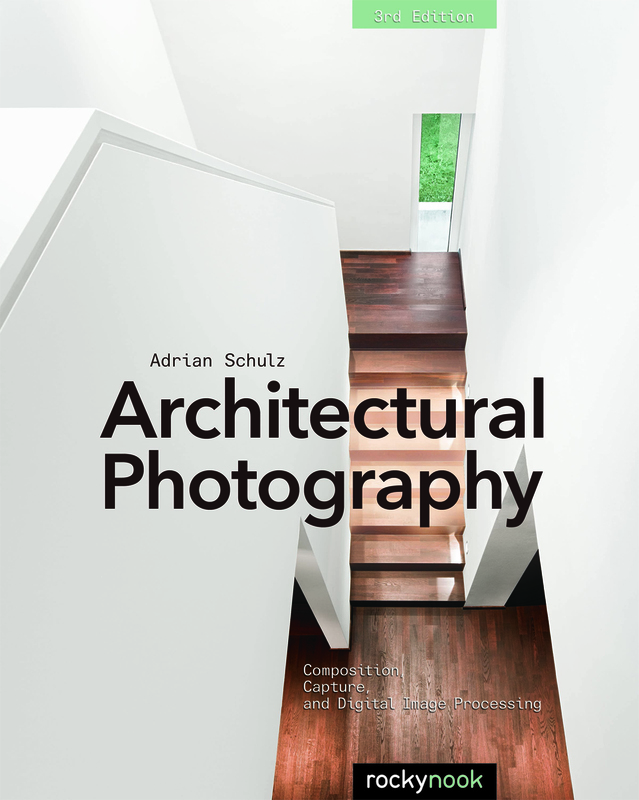 This book is ideal for anyone considering a switch- it’s a must-read before a software purchase and then a well written and illustrated guide to introduce the program’s interface, workflow and capture, post-processing and output features.